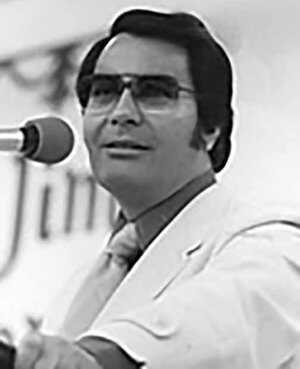 Jim Jones attracted a large following to his Peoples Temple through sermons on tolerance, social responsibility and community. As the church grew, however, the sermons on equality and tolerance were belied by his own increasing demands for personal loyalty and obedience. The extent of his authority meant that his eventual breakdown transformed a personal tragedy into one of the largest mass deaths in American history. Jim Jones during a sermon. Jones’ parents were James Thurman Jones, a veteran of the Great War and victim of mustard gas who lived on disability payments, and the much younger Lynetta Jones, a feisty, independent woman who would eventually follow her son to Guyana. James came from Baptist and Quaker lineages but Lynetta had doubts about a “sky god” and laughed off the neighbors who were sure she “was going to hell straighter than a bird could fly.” Jones’ father was emotionally absent and his mother was constantly working, so neither had much time or desire to discipline their son. “I didn’t have any love given to me — I didn’t know what the hell love was,” he later told his congretion. Much of what is known about Jones’ early life came from his own later recollections. He described being a young hellion in his Indiana hometown: “I was considered the trash of the neighborhood.” He identified with the underdog, fighting off kids who bullied other children, rescuing stray pets, and taking home beggars. He explored every church in town — Quaker, Nazarene, Methodist, Apostolic and the Church of Christ — throwing himself into their particular rituals before becoming disillusioned and moving on to the next. Jim graduated from high school with an interest and aptitude for medicine. While working as a hospital orderly, Jones met Marceline Baldwin, a nursing student, and they married in 1949. In Indianapolis, he served as a student pastor in the Methodist Church in 1952 but chose to found his own church, Peoples Temple, in 1956. The Temple joined the Disciples of Christ in 1960 and Jones was ordained in 1964. Religious leader George Baker, also known as Father Divine, founded the Universal Peace Mission Movement in the 1920s. In the late 1950s, Jones made visits to see Father Divine, a charismatic black preacher with a multiracial congregation. Divine, who had known Marcus Garvey, promoted economic empowerment for his Harlem flock through redistributive cooperative enterprises. Members worked for low or no wages, pooled their resources and benefited from the common good. Divine held unusual spiritual beliefs, claiming that he was God and demonstrating supernatural powers. Peoples Temple participated directly in the social shifts of the emerging civil rights movement. 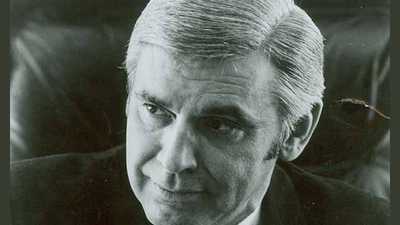 As the head of the Indianapolis Human Rights Commission, Jones desegregated movie theaters, restaurants, the telephone company, hospitals and the city police department. The Temple ran a free restaurant, and homes for the elderly and mentally ill. In the midst of this antagonism, Jones began to consider larger issues of the Cold War. An article in Esquire magazine listed the places on earth where one might survive a nuclear war. Taking the list to heart, Jones moved his family to Brazil for a while before returning to the United States and settling in Northern California. In California, Jones had either reached the top — or was playing the part.